A newspaper not written by the lying Jews! Welcome to our new site. As you can see, moving day has been a hassle and we still aren't moved in, yet. Not all the links work, yet. Please be patient. the Cosmic Wheel Association even though this site is still under construction. Dinesh D'Souza gave this speech just one day before the pivotal 2016 Presidential debate between Donald Trump and Hillary Clinton. But it contains historical and political insight regarding America, Hillary Clinton and the sins of the Democratic Party that transcends all historical time. It is a very entertaining and educational speech, sprinkled with humorous stories and razor-sharp political attacks. This is undoubtedly one of the world's greatest speeches. It is enlightening to all political parties, to all nationalities and to all races -- not just to all Americans. This speech was given by Washington insider, Dinesh D'Souza, at the Conservative Forum of Silicon Valley, California, September 18, 2016. Additional commentary is provided by the Cosmic Wheel Association. Nathan Rothschild Authors the Protocols of Zion That's right, the great mystery is solved as to who wrote the famous Protocols of the Learned Elders of Zion. It was actually written in 1840, seventy years before it was published in Europe! "Who wrote the Protocols?" is an old puzzle now solved with this insightful historical analysis. This e-book is 87-pages long, but this also includes Victor E. Marsden's original translation of the Protocols. Thus, the secret history of its origin is followed by the original 1921 translation that started the whole mystery. This booklet makes a great gift for your liberal and Christian friends who still believe that there really is such a thing as an "Innocent Jew." What a myth! Remember, you found it here first on the Bamboo Delight Company's new website. Be sure to tell all of your friends so they can download a copy of this ingenious solution to a famous historical "who-done-it?" If you believe that all of the plastic bottles, bags and broken plastic trash that you "re-cycle" goes to a special, high-tech re-cycling factory, then you have been deceived by the Jews once again. All of your efforts to "Save the Planet" are sabotaged by the Jewish financiers and industrialists who make more money by trashing Mother Earth than they do by re-cycling. Natural products like glass bottles, metal cans and hemp boxes all re-cycle perfectly but synthetic products like plastic do not. Jiu-Liang Wang filmed an outstanding documentary on this problem using the example of Red China, but the problem is worldwide. This four minute clip is from his DVD entitled "Plastic China." (You can buy the entire video from Amazon.com; it's really worth the money. It's a great documentary wherein you will learn a lot about modern Red China from behind the scenes.) It shows in China, what the Western plastics industry is doing worldwide with the labor of third world Communist slaves as well as with the poor peoples of Africa and India, in fact, anywhere that the People are so poor that they will pick through Corporate garbage for something to eat. Remember, all plastic is made from oil. The financiers who deal in oil-based corporations — they alone, all of them — are the cause of worldwide plastic pollution. The financiers who manufacture and market plastic items are to blame, not the people who buy their synthetic products. Yet, being mostly pious Jews forever looking for a scapegoat to take the blame for their evil deeds, they blame it all on the People who buy their plastic products which are designed to break and be thrown away! The financiers and corporate chiefs make even more money by throwing plastic away so they can sell you new plastic trash. Then, they pay pennies to poor people to pick through their trash. It's called "recycling" but it really isn't "re-cycling"; it's concealing ruthless Corporate greed behind both the idealistic work of those who actually care about the Earth as well as the work of the very poor people who dig through the Corporations' garbage dumps for a hand-to-mouth existence. The Financiers and Corporate chiefs don't work; they profit. The recycling of plastic is a world-destroying fraud and a hoax, as you will see in Jiu-Liang Wang's documentary. The Corporations should be forced to pay for the garbage they create; but they only want to profit and let Mother Nature and the People of the World pay by doing the work of hiding their garbage. All Corporations should be required to have a strict Government supervision for these business entities who claim to be more powerful than the governments of the People, for the People and by the People. "Always Follow the Communist Party"
You opened up the Golden Road. You dispersed the clouds and fogs. You will understand the irony of these slogans and lyrics after watching this four minute sequence. 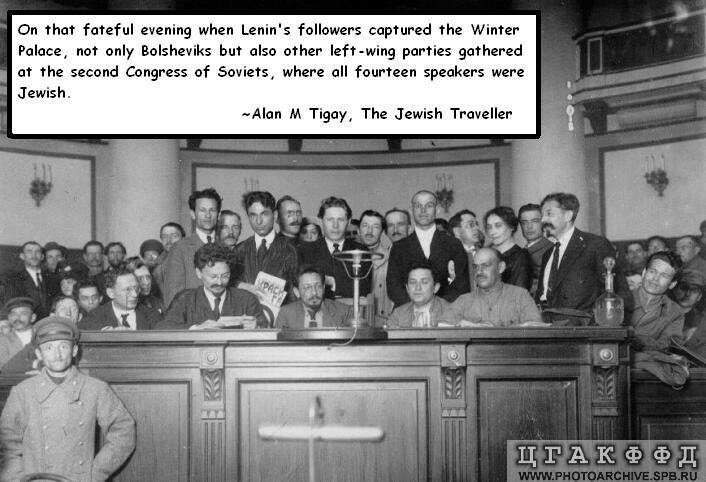 Always remember, Communism is Jewish. The Jews invented it, the Jews financed it, the Jews directed it, the Jews promoted it, the Jews used it to genocide 100 million people, the Jews lied about it, and only the Jews profited from it while all of Mankind suffered from it. And the wealthy Jews who dictated the Protocols of the Learned Elders of Zion explain in detail how the greedy and perfidious Jews want to enslave the world to both their ruthless Capitalist Money Power and their brutal Communist dictatorships. If you haven't read the Protocols, then you know nothing about those who pull the strings attached to every lying politician. We hope that you are amazed and Delighted.